Royal Caribbean released a new Dynamic Dining Q&A document and one bit of news to come out of is the fate of traditional dining on Freedom of the Seas. As leaders in innovation, Royal Caribbean International is reimagining dining at sea with the launch of Dynamic Dining aboard the Quantum class of ships. This revolutionary program also will be introduced to the Oasis Class, the world’s largest and most innovative class of cruise ships, during their upcoming scheduled dry docks. Dynamic Dining is a strategic initiative for Royal Caribbean and based on the positive response from our guests, it is our intention to implement this program across as many of our ships as possible, as part of our Royal Advantage program — our ongoing commitment to offer the best experience in the industry to our guests. At this time, there are no plans to implement Dynamic Dining on Freedom of the Seas during her upcoming dry dock due to certain limitations including time restrictions. We will continue to communicate any implementation of Dynamic Dining across the rest of the Royal Caribbean fleet as those decisions are made. 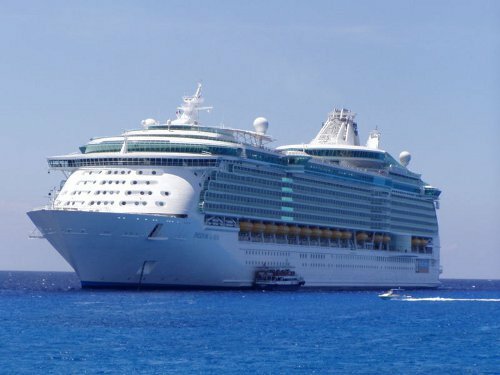 Royal Caribbean has scheduled Freedom of the Seas for a drydock refurbishment in January 2015 and there was speculation that perhaps Freedom of the Seas would be getting Dynamic Dining just like Oasis of the Seas and Allure of the Seas.